Mince pies, although a staple seasonal snack, are a lot like Marmite in that they have the ability to divide the population. You either love them or hate them. But if you just so happen to be part of the former camp and a gin drinker, we've found the perfect Christmas tipple for you. 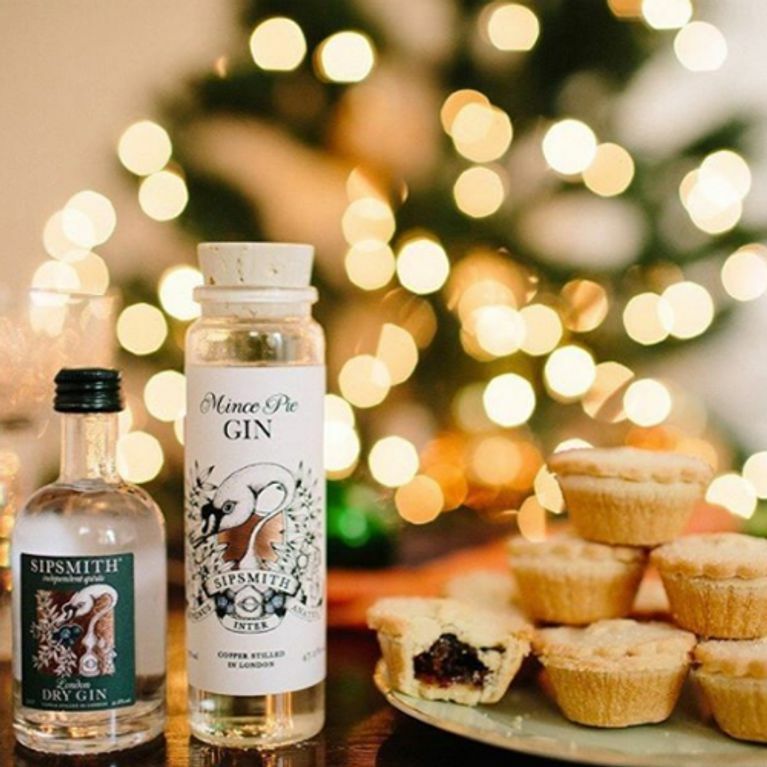 Mince pie-flavoured gin is here to ensure you a have very merry Christmas. Just when you thought you're boozed out from all the 'Christmas' drinks (which are really just you and your same group of mates getting pissed in the same pubs four times a week, instead of two) and you've already vowed to commit yourself to a proper detox 'this time' that'll inevitably fail after seven days tops, along comes the most Christmas-flavoured alcohol to date. Renowned gin geniuses Sipsmith have concocted every mince pie and gin-lover's dream drink. The specially-made gin has been infused with spiced-fruit flavours with sultanas, raisins and dates providing the main ingredients while cinnamon and vanilla have been thrown into the mix, too. “A sweet spice mix comprised of cinnamon, clove and nutmeg create a rich complexity, working with the dried fruit and vanilla to deliver a wonderfully full buttery taste," is how the distillery's website describes it. Unfortunately, due to popular demand, the mince pie gin has sold out but you can still sample Sipsmith's famous festive gins by signing up to their 'Sipping Society' delivery service. It's priced at £45 per quarter or £160 for annual membership. If you sign up before December 20, you'll receive your first gift in time for the big day.